When you are an endangered animal species, it is crucial that you have as many opportunities to ensure the future of your race as possible. Natural scientists work tirelessly to help to foster save environments and even set you up with the right partners to help that entire process along. Still, it can be a difficult thing to make happen. The mood needs to be right. The chemistry might not be especially fitting. And, there is also the problem with boredom. Lots of folks think that the pandas, for example, are just too lazy to get it on… but the truth is that they all have some serious cabin fever. Looking at the same bamboo and living day in and day out in captivity, albeit a comfortable place, just isn’t all that helpful when it comes to getting down to business. Sometimes those little guys just need to get out and get on their feet for a night! Still, the problem is that they don’t even know what to do once they get out! But, you can help. 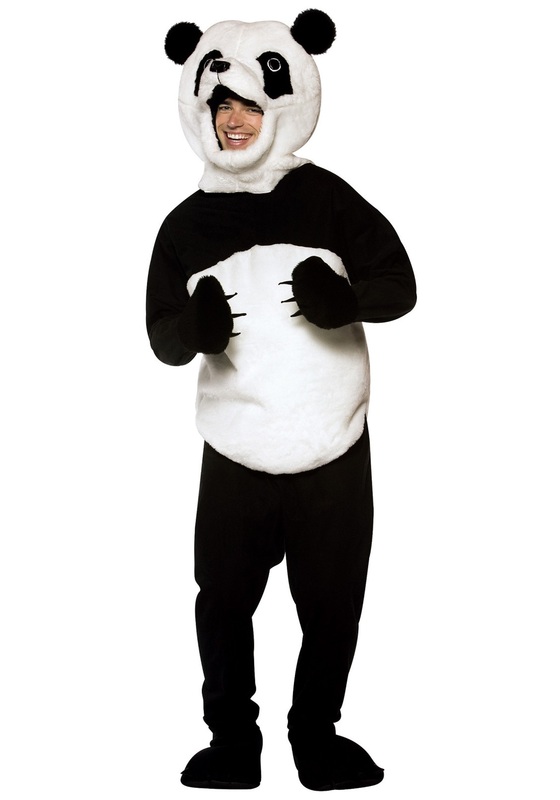 Not only can you have a great night but you can single-handedly save a life and possibly an entire species with this Adult Panda costume. Don this elastic polyester shirt with a faux fur belly, black elastic pants, and accompanying hand and shoe covers to step into the role of the delightful panda. Equip the faux fur headpiece with soft sculpted panda features and that transformation will be fully complete. Show the white and black teddies how to socialize with other creatures, dine on delicious treats, and flirt with all the locals… all while being admired for your perfect choice in costuming as well as your adorable features. Who doesn’t love a panda! ?